A publisher that saw his KENP Royalties for over 100 titles fall 99% after publicly criticizing Amazon is now saying his math shows Amazon is STEALING BILLIONS in Royalties from Authors. 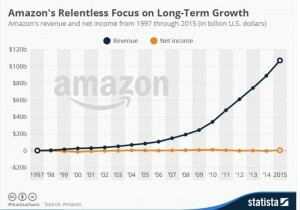 The Publisher points to how since the introduction of Kindle Amazon’s sales increased from less than 20 Billion a year to well over 100 Billion a year. Most of it from eBook Sales or Kindle Titles Sales says Dr. Sol Adoni. Read this rant on Amazon and how a few sites are giving Authors FAKE SALES NUMBERS to hide the theft such as Hugh Howey’s Authors Earnings site and lawyer David Vandagriff who runs The Passive Voice are all known for discussing sales figures for eBooks on Amazon and Dr. Adoni calls Hugh Howey a Clown as well as David Vandagriff a clown. The reason he is so harsh on them is he knows the facts that the huge increase in sales since Kindle was released means that none of the Amazon figures can be trusted and not one Amazon sales figure is audited Dr. Adoni points out. Dr. Adoni also points out how badly Hugh Howey does in trying to rip sales data from Amazon since the sales rankings now use KENP figures and that means all the sales data at Amazon is USELESS even if it were correct since no one knows how much of a title’s sales rank is from KENP page reads and not actual unit sales. Dr. Adoni who theorized the 30 Mod Prime Number Algorithm known as the Prime Algorithm is an expert in numbers and he says the numbers don’t lie, Amazon is now creating close to 75 BILLION USD in eBook sales and is STEALING THE ROYALTIES from Authors. 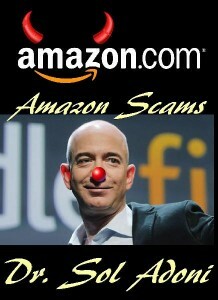 Dr. Adoni has just released his newest book titled AMAZON SCAMS and it is on the major FRAUD that the says is the business modes-operandi of Amazon and he details the way Amazon STEALS BILLIONS of dollars in Author Royalties each year.